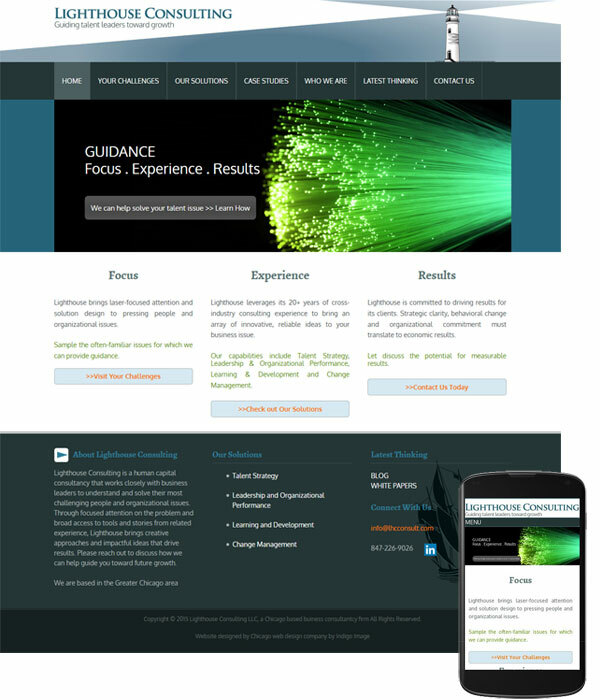 This mobile friendly website for Chicago consulting firm, Lighthouse Consulting was built on the WordPress framework. The architecture of the site was designed specifically around distinct challenges facing business owners. I had the pleasure of working with Zoe at Indigo Image at the beginning of 2015 on a new website I found the entire experience gratifying, and I was very pleased with the final product. I would recommend Indigo to future clients.